Welcome to Littera – Bibles, Auto-books and More books. Presenting the Agalah Book Collection for your delight. We endeavor to supply you with the book of your hearts desire. Donate Large Print Bibles and/or Solar Audio Bibles for the Visually Impaired. Examine yourselves, to see whether you are in the faith. Test yourselves. Or do you not realize this about yourselves, that Jesus Christ is in you? — unless indeed you fail to meet the test! Here is a verse that can be taken out of context and used to bring confusion and doubt into the life of a sincere believer. For superficially, it seems to be requiring that we look to ourselves for evidence of real salvation. And there is nothing wrong with applying it that way and challenging the lost to truly believe and to get saved and born again. The problem comes when believers fail to understand what Paul is truly saying to us here. I say to “us” meaning to those who have received Christ as savior. What is it that Paul is asking or commanding the Corinthians to look for in their walk with God? What is the proper self-examination that he is commending to this group of people? What is it that we, as believers, should hope to find in our lives? Paul is not telling us to find reasons to reject or have questions about the reality of our faith. The second Greek verb is a bit different although it has similar meanings. It too can mean to “make a critical examination of something to determine genuineness, put to the test, examine” But it also can mean to “draw a conclusion about worth based on testing, prove, approve.” So, Paul was calling these believers and us, by extension, to test and make some determinations about ourselves. He wanted us all to make some settled determinations about our lives. So what is it we are told to search for and verify in our lives? “see whether you are in the faith.” It really comes down to what does it mean here to be “in the faith.” First, the Apostle Paul and the Apostle John used the Greek word translated “in” with a specific connotation in many cases and here as well: “to designate a close personal relation in which the referent of the ἐν-term is viewed as the controlling influence: under the control of, under the influence of, in close association with” So Paul was telling his readers to determine and verify that faith was the controlling influence in their thinking and their lives. Find out if you are under the control, under the direct influence, and in close association with the faith. And here “the faith” refers to not just a general faith but a system of grace thinking that specifically deals with the present onslaughts of the enemy. He was specifically saying are you operating in the mind of Christ with precise faith thinking right now for the moment you are facing. Come to the settled determination that you are not only saved but that you live in the controlling influence of Jesus Christ so that you are under his control and in close association with him. Everyone knows that we are all sinful. Only an idiot will try to deny that. But not everyone knows that they are partakers of the grace of God. Only someone who has made a faith examination and determination will truly know this. I hope you have and I know you will never be the same after you do. Lord Jesus, open the eyes of our hearts, Lord. That we might truly see what the wonderful grace that you have made so abundantly available to us in Christ. Amen!!! Wide variety of BIKE Repair Manuals for experts available now. 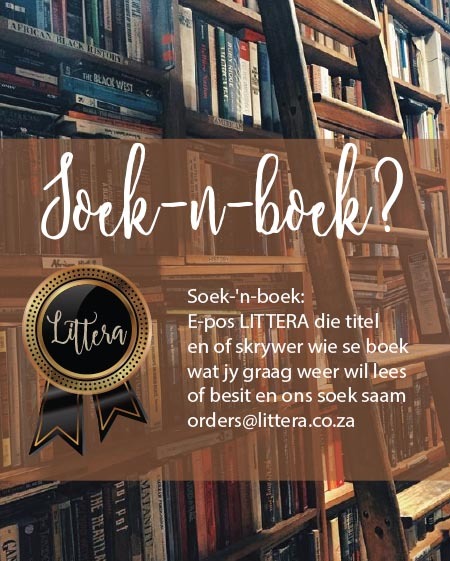 Soek-'n-boek: E-pos LITTERA die titel en of skrywer wie se boek wat jy graag weer wil lees of besit en ons soek saam.